Slaves share "Consume Or Be Consumed" video feat. Mike D.
Slaves have shared their new track "Consume Or Be Consumed" via the medium of a music video, and this track gets an added zazz thanks to Beastie Boys' Mike D, helping push Slaves out to even more audiences. The groove heavy track revolves around a huge, filthy bassline, Isaac’s speed-rap vocals and a raging guest verse from the hip-hop icon himself. 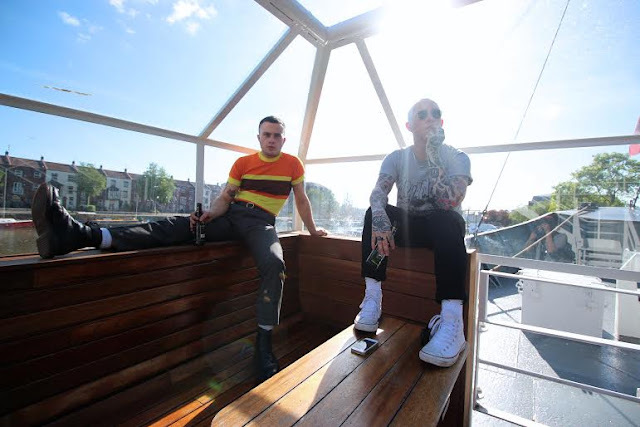 Slaves' new album "Take Control" is out next Friday on the 30th of September.